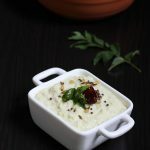 Mango chutney recipe – A quick and easy raw mango chutney to serve with Indian breakfasts like idli, dosa, pesarattu, upma and vada. 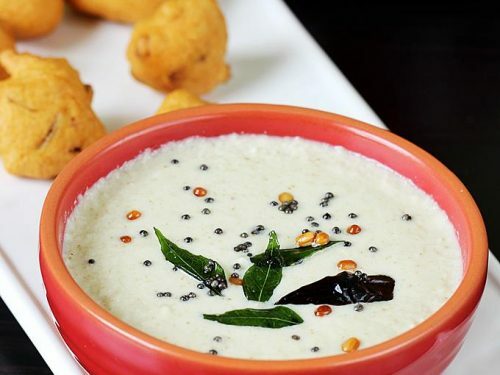 It can also be served with pongal or curd rice. There are so many ways a mango chutney can be made. 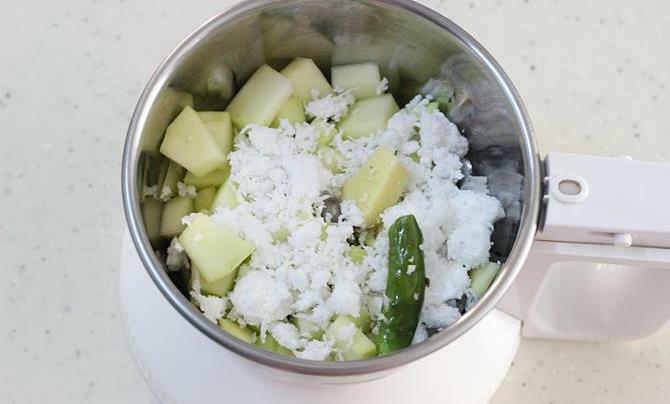 This chutney is made using raw mango, fresh coconut and other basic ingredients. This is a traditional mango chutney from andhra cuisine called kobbari mamidikaya pachadi and is mostly ground to a thicker consistency than seen in the pictures. It is served with rice. 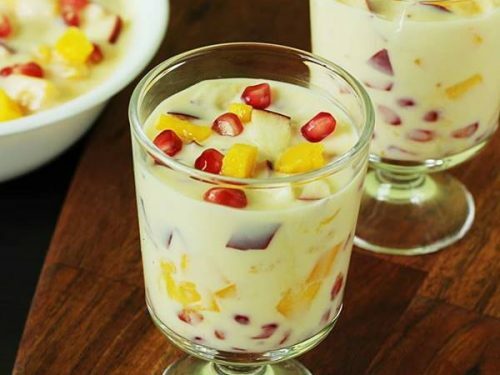 If you plan to enjoy it with plain rice, add less water and blend it to a thick chutney. I made this mango chutney to go with the venn pongal along with papads for our lunch. It was a good combo and the meal was ready under 30 minutes. Add oil to a hot pan, fry green chili, urad dal till golden. Add cumin and switch off the stove. cool this. If using sesame seeds, dry roast them until fragrant. Set aside. Blend together mango, coconut, chili, urad dal, cumin, salt and a piece of ginger. Use 2 to 3 tbsp. water to blend until smooth. If using sesame seeds, powder them first and then blend with rest of the ingredients. Heat the same pan, if needed add little more oil, add cumin and mustard when they crackle, add dal and fry until golden. 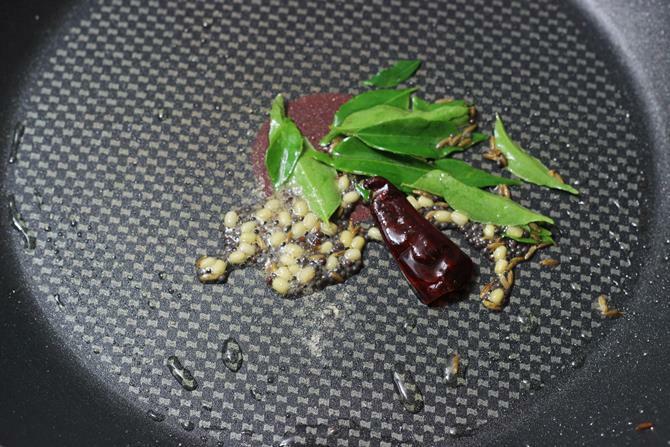 add red chil and curry leaves. Fry until the leaves turn crisp. 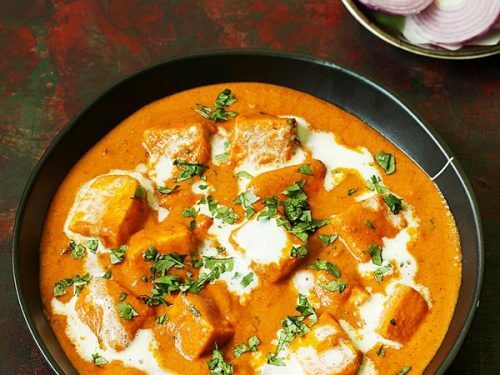 Pour this to the mango chutney. Adjust the quantity of mango as needed, too much mango may turn the mango chutney very sour. If it turns very sour, add more coconut, chili, ginger to balance the taste. Ginger can be skipped, but helps to deal with the tickling throat after eating a sour mango. 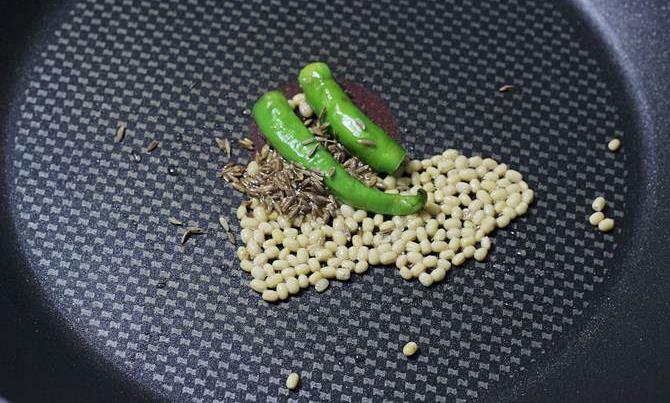 fried gram, chana dal or sesame seeds can be used instead of urad dal for grinding. 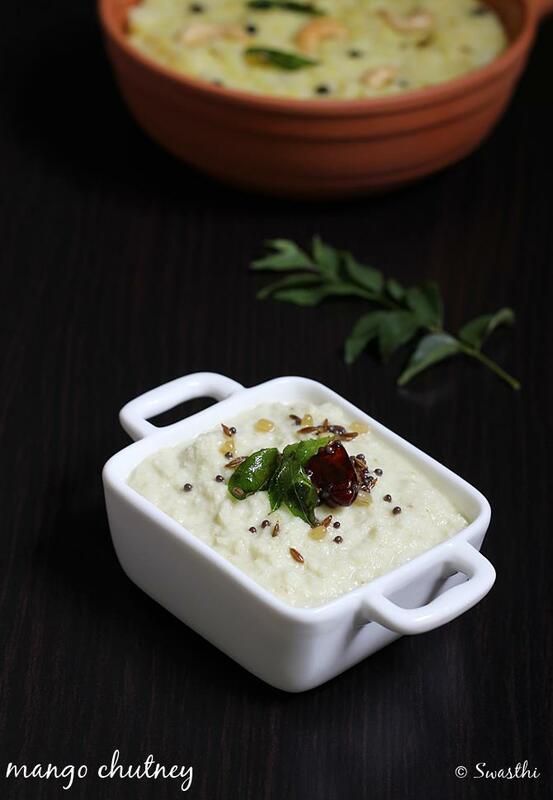 But urad dal brings a aroma to the chutney. 1. 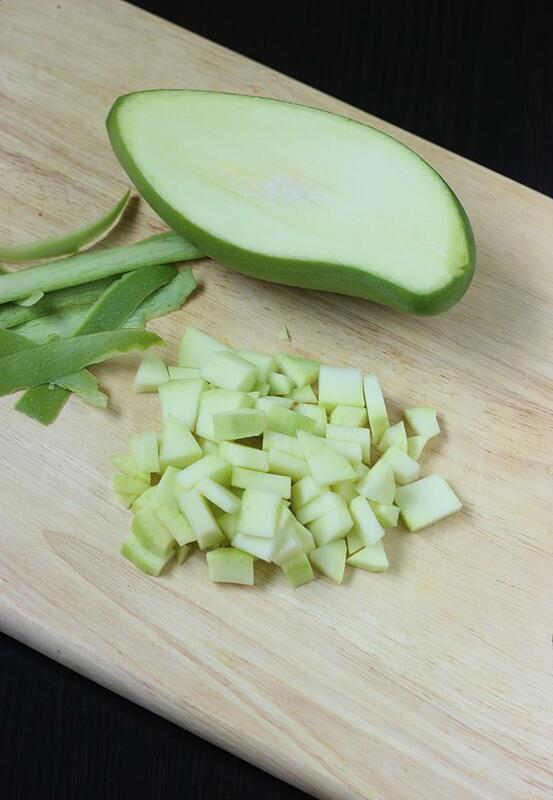 Wash, peel and cube mango. A longer variety raw mango is more suitable to prepare this chutney as it has a hint of sweetness and is less sour. 2. fry green chili till the raw smell goes off, fry urad dal till golden and the add cumin. 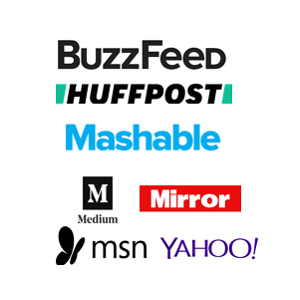 Cool these. 3. Add ginger, mango, coconut, salt and then the fried ingredients to a jar. 4. Add 2 to 4 tbsp. water and blend till smooth. 5. Season with seasoning ingredients in the same pan. Add this to the kobbari mamidikaya pachadi or chutney. 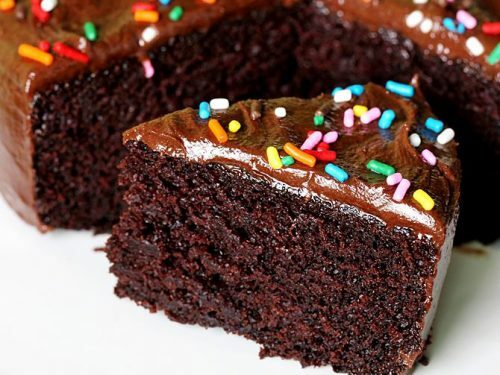 A great recipe! I suppose my raw mangos weren’t too sour. The recipe turned out perfect. 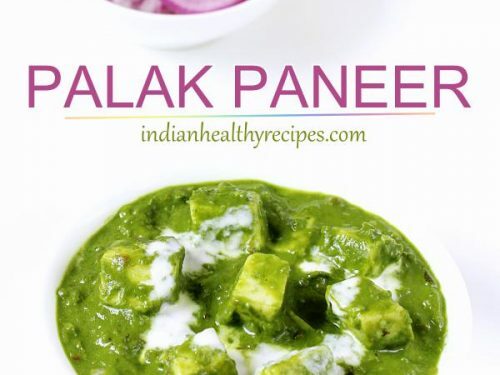 excellent but pl add yips to make chutneys less sour like additions of methi/fenugreek powderf!!!!! !rhanks for the great service!!!! I have added tips in the notes section about how to adjust the sourness. 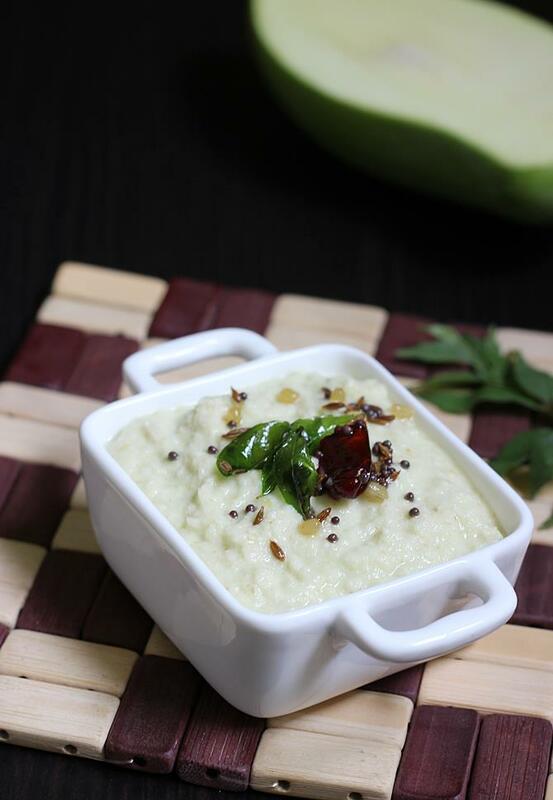 Hi Swasthi, do you have the recipe for Indian Wedding Mango Chutney. a friend of mine bought me a jar and loved it but I could not find it again. Please let me know. Thank you. Can you tell me if it is a south Indian or north Indian chutney. I think I am a bit late in replying you. 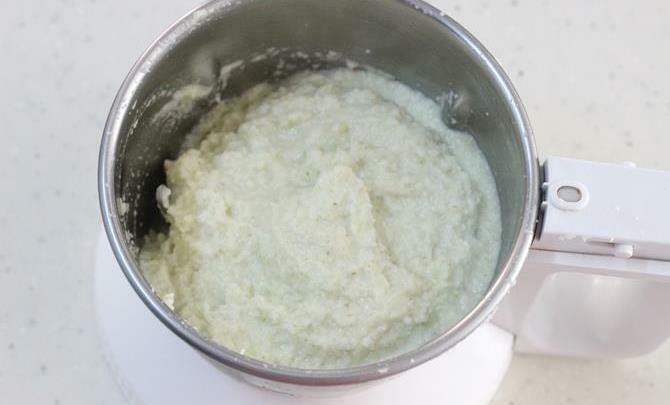 Have you tried the tips for white coconut chutney from this coconut chutney post. 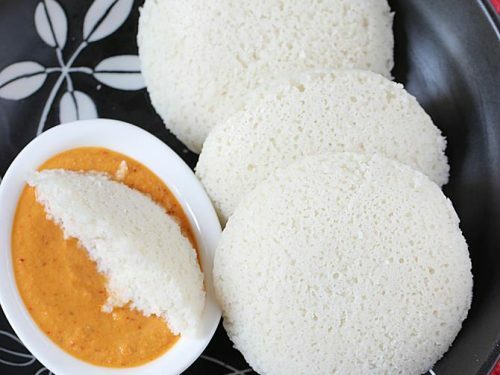 Tiffin centers use very little milk for the coconut chutney.